It’s time to reflect on the past year and add your contribution to the biggest survey in disc golf. 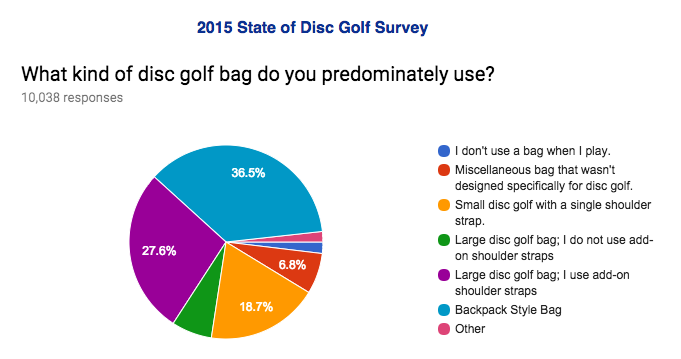 This survey is extremely valuable to us and everyone involved in disc golf. The results will provide beneficial data for disc golf manufacturers, tournament directors, promoters, and parks departments that need evidence of the growth, trends, and potential of disc golf. This is your opportunity to make your voice heard. Multiple prizes will be given to random winners who fill out this year’s survey. This years prizes include discs, backpack bags, and disc golf practice baskets. Manufacturers Innova, Dynamic Discs, Prodigy Disc, Vibram Discs, MVP Disc Sports, and Gateway have all donated prizes for this survey. Infinite Discs is pleased to announce that we will once again be the Official Vendor for the 2018 Ledgestone Insurance Open in Peoria, Illinois. We are happy to support this fantastic event, for all it does for disc golf and for charities like St. Judes. As the official vendor we will be able to offer a huge number of Discraft Limited edition discs. The first wave of these special fundraiser discs will be available at the beginning of April. Looking for a gift for someone who loves disc golf but don’t know exactly what to give them? With thousands of different disc models, plastic types, styles, bags, and accessories, how do you choose? A gift certificate to disc golfs largest online retailer is the perfect solution. 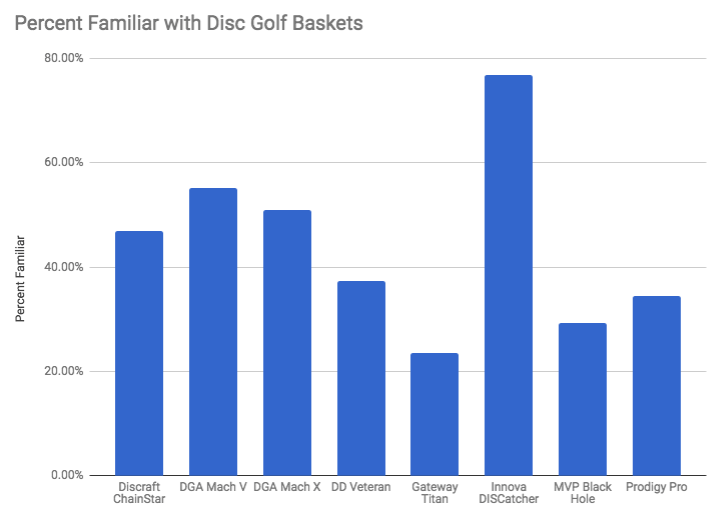 With a selection of 35,000 discs from 42 different brands, as well as all the most popular accessories, apparel, bags and carts — your disc golfer will be sure to get exactly what they want. We not only offer incredible prices and fast shipping, but we also take individual pictures of every disc we have in stock. With the time it takes for shipping, it’s likely too late to get a physical package by Christmas. It’s never too late to give an instant E-Gift card. 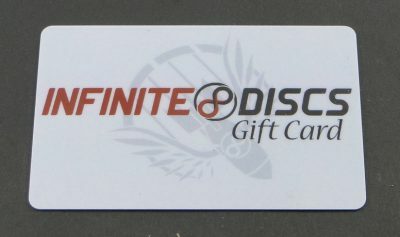 The Infinite Discs electronic gift card is easy to send and will arrive in a matter of seconds. We offer e-gift certificates from $10 – $300. A fourteen digit gift certificate code with your selected dollar value will be instantly emailed. 1. Have the electronic gift card emailed directly to the recipient. 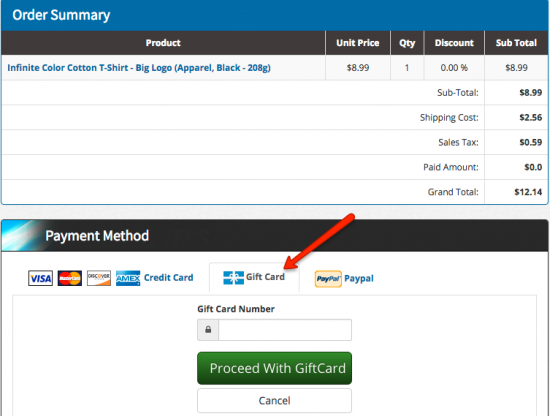 With this option, the gift card code will go directly to the “receiver” email address at the time your payment goes through. This means that if you don’t want the recipient to receive the gift card yet, you will probably want to use option 2. 2. Email the gift card to yourself. By entering your email address in the “receiver email” field, the e-card code will go directly to your email inbox where you can print it up, decorate it, laminate it, frame it, or do whatever you want to best present your gift. Purchase an electronic gift certificate now! For those who are looking for something physical to present, we also offer a physical gift card that will be mailed through the USPS. Physical gift cards are currently available in $20, $25, $50, $100, and $250 values. Redemption of physical gift cards works exactly like an e-card. Each physical card includes a unique 14 digit code that is entered as payment method during check out. Because these are physically mailed, allow up to a week for delivery. Buy a physical gift certificate now! To redeem an Infinite Gift card you simply enter the gift card code at checkout. Please note that this is NOT a discount code. Discount codes are promotional codes that give a discount on an individual order. If you’re now intrigued by discount codes, the best way to be alerted of discount codes is to subscribe to our newsletter. Customers can save up and enter any number of gift card codes for redemption. The Infinite gift card balance never expires so your recipient can stock up or save gift certificates until there is something that they really want or need. It has come to our attention that InfiniteDiscs.com was likely hacked some time in August, and that some customer credit card information entered in our direct credit card checkout was intercepted and shared with a third party. At the time we received the notification of this vulnerability, we did not see any evidence that any customer card information had been compromised. However, it was brought to our attention today that several customers have found fraudulent charges on their accounts over the past few days. We suspect that customers who made orders in August and the beginning of September could have had their cards compromised. If you made an order during this time period, please check your credit card statements to make sure that you were not victim to any fraudulent charges. This security patch was installed on Tuesday the 19th, and the vulnerability has been resolved. Our Trustwave Scan shows that our site is PCI compliant. In addition, to ensure that everything is clean and no customer information is at risk, we also had our web hosting company scan to make sure that there are no malicious files on our server. This scan found no signs of malicious scripts. Since the breach, we have also changed our checkout process so that card information will never again be entered on our URL to eliminate the risk of a future cross site scripting hack. All credit card information is now entered directly on our Merchant processing domains Authorize.net or PayPal.com. Infinite Discs does not, and has never collected or stored any customer credit card information. 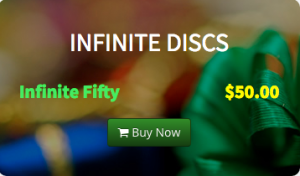 You can be confident that your credit card purchases through InfiniteDiscs.com will be secure.